When you are running a program or more on Windows 10, especially games, suddenly, the error message comes to you that This program can’t start because XINPUT1_3.dll is missing from your computer. Try reinstalling the program to fix this problem. Or sometimes, your computer would also show you other Xinput1_3.dll errors, such as the Xinput1_3.dll not found, Xinput1_3.dll error loading, Xinput1_3 could not be located, etc. This DLL (Dynamic Link Libraries) error is not too easy as you imagined, as the Xinput1_3.dll file disappearing from your PC can be caused by various reasons, of which, the most potential one is due to DirectX, a system program. What are DirectX and Xinput1_3.dll? The Microsoft DirectX is a set of system components allowing programs, especially games, to work with audio or video hardware directly. Of DirectX, X refers to the basis of the name of Xbox and denotes that it is developed by Direct technology. All the games using DirectX have accelerator designed to improve the multimedia experience. While the Xinput1_3.dll is one of the important parts of Microsoft DirectX. In this way, when the Xinput1_3.dll is missing or disappearing from Windows 10, you can also categorize it as a kind of DirectX error. For instance, the DirectX is not installed or outdated or corrupted on your PC. 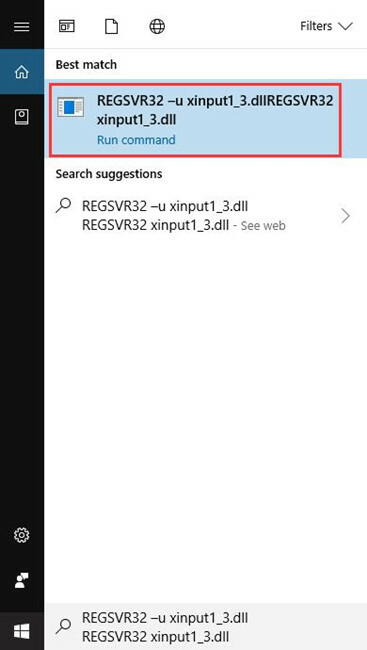 Tips: Now before starting solving this Xinput1_3.dll error, you must remove all the individually downloaded Xinput1_3.dll from any DLL File downloading site on Windows 10. As resources on the DLL File site are not approved, they can be threats to your system. For another thing, this DirectX error can never be handled simply by downloading just the Xinput1_3.dll file. How to Fix Missing Xinput1_3.dll Error on Windows 10? Keep up with the following ways to troubleshoot this Xinput1_3.dll not found error step by step. If this is the first time you encountered this system error saying the Xinput1_3.dll is missing or not found on Windows 10, or to make sure it is not a coincidence meeting this DirectX issue, you would better reboot your computer. Then when login in again, check if the Xinput1_3.dll problem persists on some programs. Concerning the relation between the Xinput1_3.dll and the DirectX, making sure the DirectX is up-to-date is able to cope with the Xinput1_3.dll missing or not found error on Windows 10. But prior to the updating, you need to check the version of your DirectX. 1. 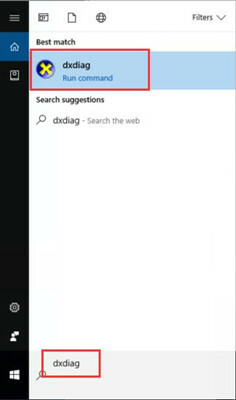 Type dxdiag in the Start search box and then press Enter. 2. 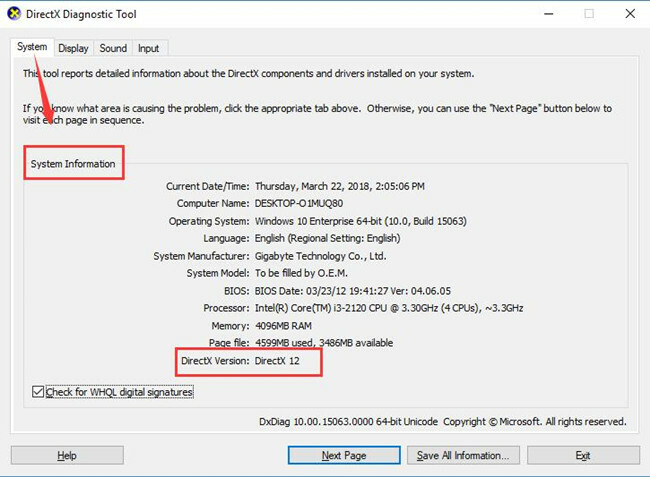 Then the DirectX Diagnostic Tool window would pop up, under System, check the System Information where you can see the DirectX version. Here the DirectX version is DirectX 12. While on the basis that you have known the DirectX version on your PC, to remove the missing or not found Xinput1_3.dll, you might want to upgrade your DirectX on Windows 10. As a system program, the DirectX has been constantly updating on Windows systems by Microsoft. On Windows 10, to get the newest DirectX, such as DirectX 12, DirectX 11, DirectX 10, you can try to Check for updates, for which would include the DirectX you need. 2. 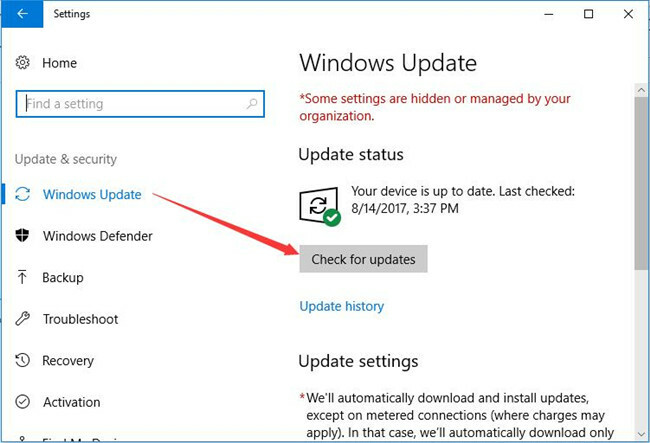 Under Windows Update, Choose to Check for Updates. If there are any updates, Windows would install automatically for you with the DirectX. Tips: as for DirectX 9 (DirectX End-User Runtimes Web Installer), maybe you have to go to Microsoft site to install it manually. After gaining the latest and compatible DirectX for your computer, you will find the missing Xinput1_3.dll is recovered as well. It is suggested that downloading and installing the most up-to-date drivers for your video card or graphics card can be helpful to solve the Xinput1_3.dll not found or disappeared issue on Windows 10. To make things easier or more foolproof, you are supposed to use the professional driver updating tool — Driver Doctor to get the newly released video card and graphics driver. 1. 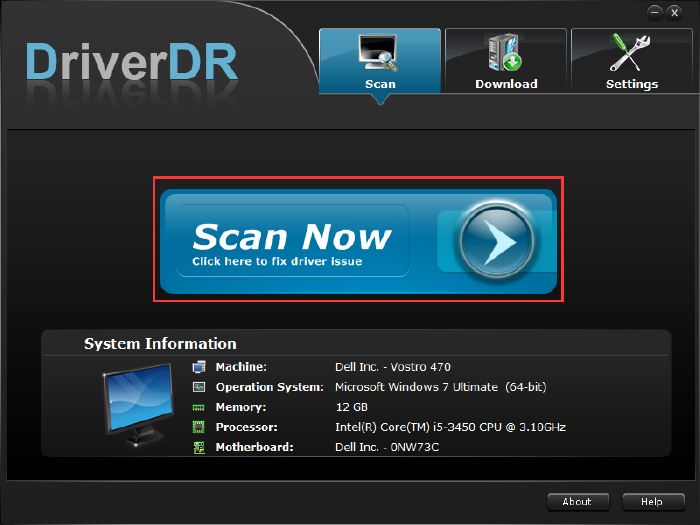 Download and install Driver Doctor on your PC. 2. Hit Scan Now, Get Drivers, Download All to let Driver Doctor finish the downloading. 3. Install the downloaded drivers on Windows 10. Of course, here apart from making use of Driver Doctor, You can choose either update these drivers in Device Manager or from the official site of the graphics card or video card or the computer manufacturer. With the presence of the updated video card and graphics drivers, you would better try to restart the program again, maybe this time it will not remind you that the Xinput1_3.dll is missing or not found. While you have been told not to download the Xinput1_3.dll from any site, it is not escapable that you manage to restore it individually from the DirectX installing package. As the DirectX version you are using is different, you are supposed to integrate the common steps below with the practical case. 1. Download the proper DirectX from Microsoft official site. 2. Create a New Folder on the Desktop and name it as DirectX. 3. Open the files you have just downloaded online. 4. Hit Yes to the agreement license. 5. In Please type the location where you want to place the extracted files, click Browser and then choose the folder DirectX you have just set up. 6. Then click OK to save changes. 7. Double click the DirectX folder where you are able to some files, such as CAB (cabinet) files, DLL files, andexe files. 8. Find out the missing Xinput1_3.dll from the CAB files. 9. Extract it in a folder you can easily pinpoint. 10. Copy the DLL file to the System32 folder. Now you can see the restored or recovered Xinpout1_3.dll file on Windows 10 and are able to play games without hesitation. Sometimes, when your Xinpout1_3.dll has missed or disappeared from Windows 10, there is much need for you to un-register and re-register. And it is quite foolproof. 1. Click Start and copy the commands below in the search box. Then hit Enter to run then. 2. Close the program and reboot your computer. The minute you start Windows 10, open the program that happens to the missing Xinput1_3.dll file to check if it back to your PC. All in all, this post focuses on fixing the Xinout1_3.dll missing or not found error and has provided some powerful solutions. If unfortunately, you failed to find a way out, maybe you have to uninstall the program and reinstall it for Windows 10.